The Nordyke Law Offices provides the personalized representation to injured individuals and families that is unrivaled in the legal field. We devote the resources and the time necessary to not only understand the medical aspect of our client’s injuries but to also understand how it has impacted our client’s lives. We understand that an attorney must first fully appreciate the nature and extent of the client’s injury and the impact on the client before a successful resolution can be obtained. We have a tremendous wealth of experience with a wide range of injuries due to a number of causes and we have access to the needed medical specialists to assist us to fully understand the medical aspects of your injuries. We have the highest ethical standards and are deeply committed to our clients. We listen closely to our clients and their families to understand how their injuries have affected their lives and we are diligent to make sure our clients understand the important steps they need to take to protect their legal rights. We are committed to obtaining outstanding results for our clients and have garnered top ratings from Avvo and selection for Super Lawyers®, joining the ranks of the top 5% of attorneys in Missouri. We welcome the opportunity to assist you and we make it easy to work with us by offering a free initial consultation and we will never charge a fee unless we make a monetary recovery for you. Our friendly helpful staff is always available to assist you and committed to making your interaction with our office a pleasant experience. Call 660-679-3161 or email us today and start getting legal answers and pursuing the justice you deserve. 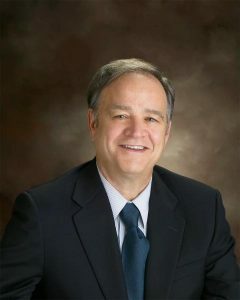 Steve was designated as a Missouri-Kansas Super Lawyer by KC Magazine. This honor is only awarded to the top 5% of attorneys. He is also a Board Certified Civil Trial Advocate by theNational Board of Trial Advocacy. This organization is accredited by the American Bar Association. As such, it certifies lawyers in their areas of civil practice. While it should be noted that the Missouri Bar and Supreme Court of Missouri do not review or approve such certifying organizations, nor the specialist designations they render, the NBTA underwent a rigorous application process (ABA-Standing Committee on Specialization) that ensures it meets standards set by the ABA.